I am sure you never thought about the BMW X6 as a competitive off-road machine. I mean, it is an SUV, it has a massively powerful engine, an all-wheel-drive system, and fine clearance. But it also has massive wheels with low profile tires, driving systems usually associated with low sports cars and a coupe-shaped roof. It is most certainly a car for city streets and highways. Not for Moab trail. Unless it is the Manhart MHX6. Manhart, German tuner, had some serious off-road aspirations with the X6. 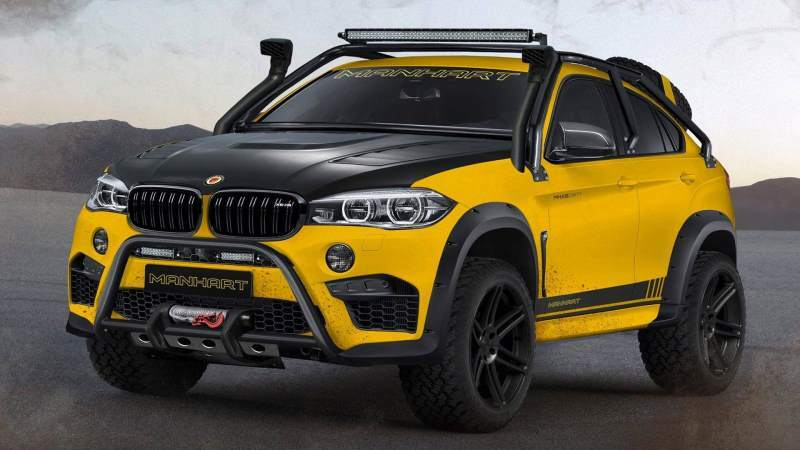 They developed a fantastic car called the MHX6 Dirt² – an off-road ready BMW X6. I am not joking. It is yellow and black and cool and totally unnecessary. I like it. I admit.